Education & Engagement: Notations From the Grid (Weekly Edition): On "Intelligent Change"
Notations From the Grid (Weekly Edition): On "Intelligent Change"
Last week we discussed the foundation of how top performers progress faster is by choosing a vision for their work. Knowing where you are trying to go helps solve the 1,000s of decisions that will inevitably follow. As we learned, we must always begin with the end result in mind. Now comes taking that vision and turning it into a plan of attack. Create a low volume car, which would necessarily be expensive. Use that money to develop a medium volume car at a lower price. Use that money to create an affordable, high volume car. A low volume car means a much smaller, simpler factory, albeit with most things done by hand. Without economies of scale, anything we built would be expensive, whether it was an economy sedan or a sports car. While at least some people would be prepared to pay a high price for a sports car, no one was going to pay $100k for an electric Honda Civic, no matter how cool it looked. Elon could have jumped to Step 3, creating an affordable, high volume car on Day 1, and in all likelihood he would be among the majority of bankrupt car makers (Google Mr. DeLorean). All his prioritized tasks lists for the day would have been a fool’s errand. What Elon needed was leverage. The low volume Tesla Roadster was the means by which he wanted to achieve his more ambitious goal of providing sustainable energy. What leverage do you need to achieve your more ambitious goals? 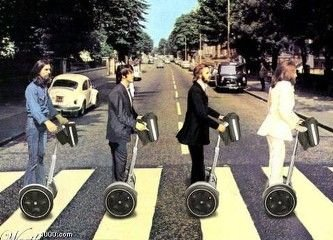 When Segway was released in 2001, it was supposed to revolutionize public transportation. Instead, it became one of the most noted business failures of all time. Their assumptions had no foundation upon which to achieve their end goal. Would consumers really ditch their cars for a $5,000 weird looking scooter thingy or willing to pay $5,000, in addition to their car? Would local governments suddenly put in the infrastructure to make the segway a viable city transportation option? Where would you keep your segway at work? Of course in hindsight, it’s easy to point out the reasons why something did not work but Segway’s seem very thin when laid out. Before releasing any new product, product managers at Amazon are required to write a press release detailing exactly how the item solves a problem and who would buy it. Ian McCalister, a general manager at Amazon, notes, “Iterating on a press release is a lot quicker and less expensive than iterating on the product itself." The above are all business examples, but what if you wanted to apply it personally? What project / goal / habit / career / decision am I trying to make? Why do I care about it and what do I hope to gain? How will I feel about it 10 minutes/months/years from now from now if I do or don’t do it? Make a decision based on what you are most excited about / will have the most impact long term. What are the potential pitfalls of you not taking action and what systems are required to overcome these obstacles? Similar to how Amazon is creating press releases for their products or Basecamp is doing idea pitches, you are selling your ideas to yourself. Because you only have so much time, most will not make the cut. Investor Warren Buffett is notorious for his 5/25 rule. Write down 25 things you want to accomplish, choose 5, and actively ignore the rest until you accomplish your top 5. Akin to how journaling can help you deal with pent up emotions, seeing your master plans on paper can help you evaluate its true potential and the roadblocks you will need to overcome along the way. You need to Waze your ideas from the start!